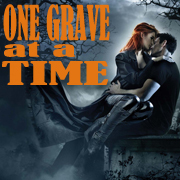 Rex Robot Reviews just posted a fantastic review of One Grave at a Time. Please visit Rex Robot Reviews to read her review in it’s entirety. One Grave at a Time releases August 3o, 2011 and is available for pre-order now.